Main trailer and poster added for movie “Run! 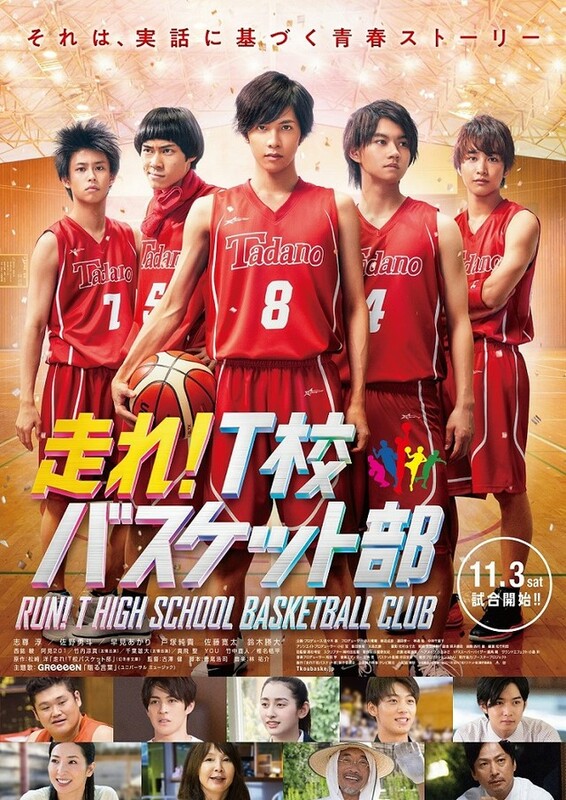 T High School Basketball Club” starring Jun Shison, Hayato Sano and Akari Hayami. The film follows a high school basketball team led by Yoichi Tadokoro (Jun Shison). Movie is based on 2007 novel “Hashire! T Ko Basuketto Bu” by Hiroshi Matsuzaki. “Run! T High School Basketball Club” will be released November 3, 2018 in Japan.